The amount of egg yolks I have in my refrigerator is obscene. What to do, right? Macarons, Swiss meringue buttercream, meringue pies … all these need egg whites but not yolks. After using some of it to make shortcrust pastries and lemon curd, I still have a huge bowl of yolks left! So the husband suggested I might as well make some mayonnaise. Quite a good idea, actually. Especially now that I have a Kitchenaid. I made a huge batch with just 5 yolks, a bottle of extra virgin olive oil and 1 lemon. You can flavor it with garlic, wasabi or even some cayenne pepper. Bottle them up and give them away as presents! Also, this homemade stuff tastes awesome too! 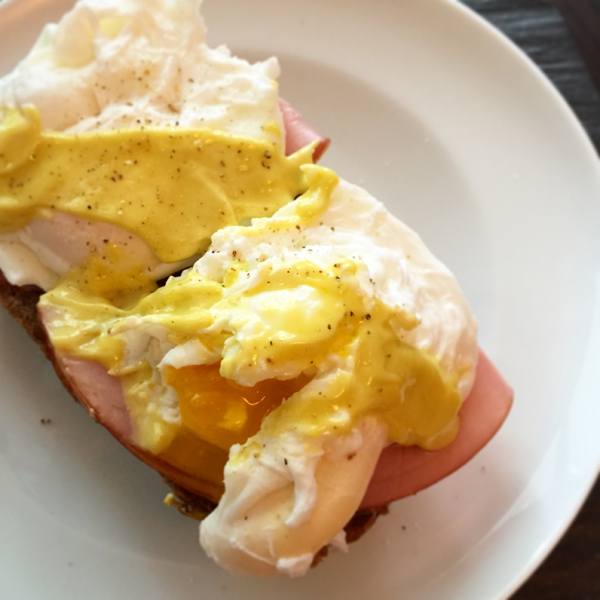 More flavorful, less “artificial tasting … I put a healthy dollop of it on top of my homemade brunch of eggs benedict. Yums! Oozy goodness for less than $10! 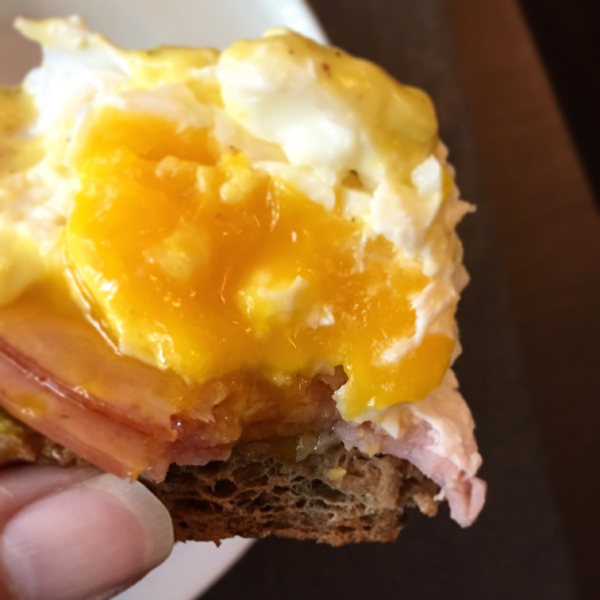 Whisk yolks until they turn a pale yellow. Then add mustard and continue whisking. Slowly add half the oil, whisking at a low speed continuously for about 5 minutes. Once you’ve added this half of the oil, add the vinegar. Continue adding the remaining oil in a thin drizzle and whisk until you obtain a creamy texture. Add the lemon juice and garlic until everything is well mixed in. Season with salt and pepper to taste. Store in sterilized jars and refrigerate. 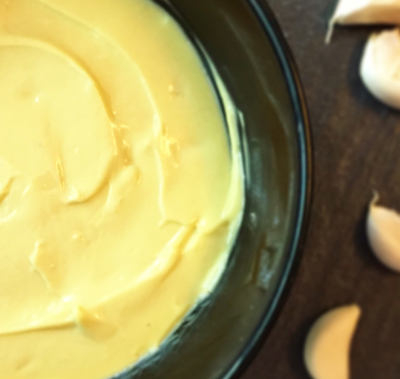 Homemade mayo – easy to make and super tasty too! This tasted awesome with tuna in a wrap!